What does the Root Word Migr mean? 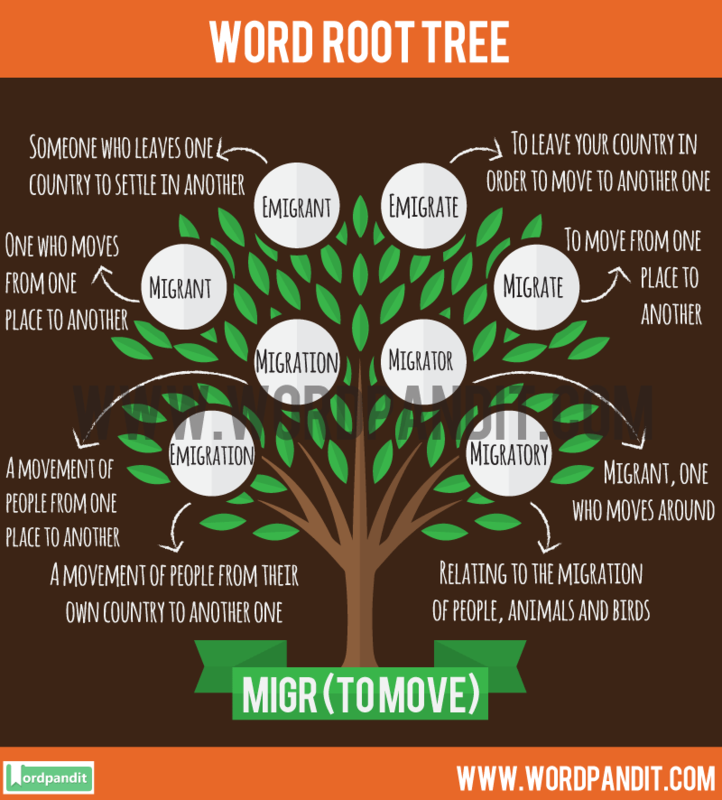 The Migr root word comes from Latin migrat- ‘moved, shifted’ and means to move – relating to movements from one country to another. Let’s look at the word ‘immigrant’. You use the word ‘immigrant’ to call a person, who has come to live in a country from a different place. Do not confuse it with the word ‘emigrate’ that refers to leave your country in order to move to another one. The recent discontent was caused by an influx of illegal immigrants. This article aims at making you learn the words based on Migr Root Word. Remember, the best part about learning through roots is that you can learn so many words at the same time and also remember them together.